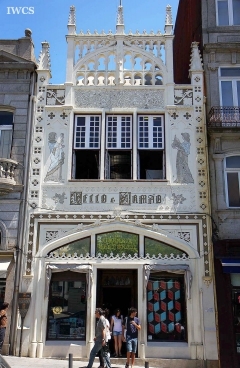 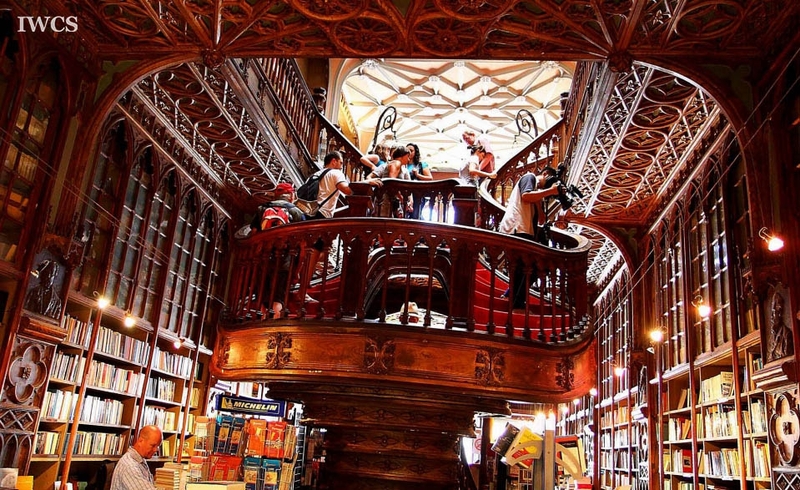 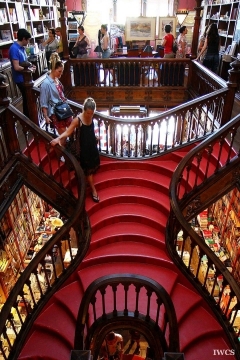 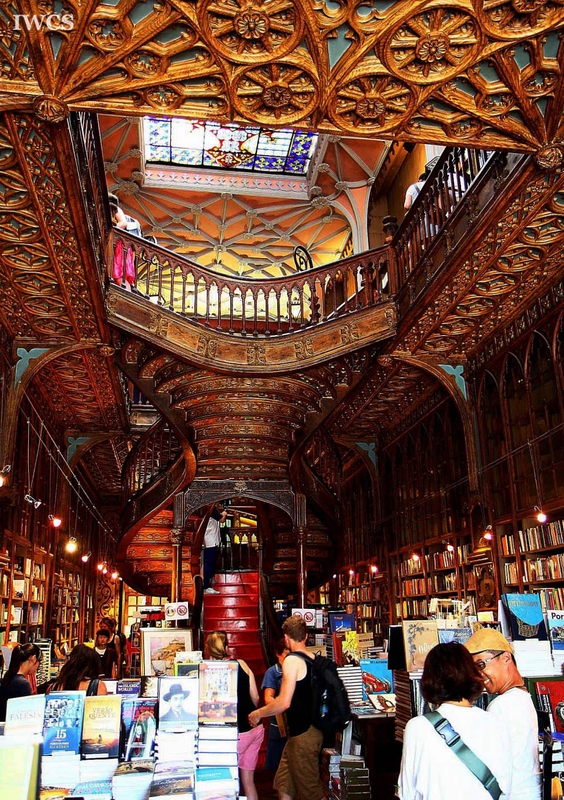 Lello Book shop is located in Porto. 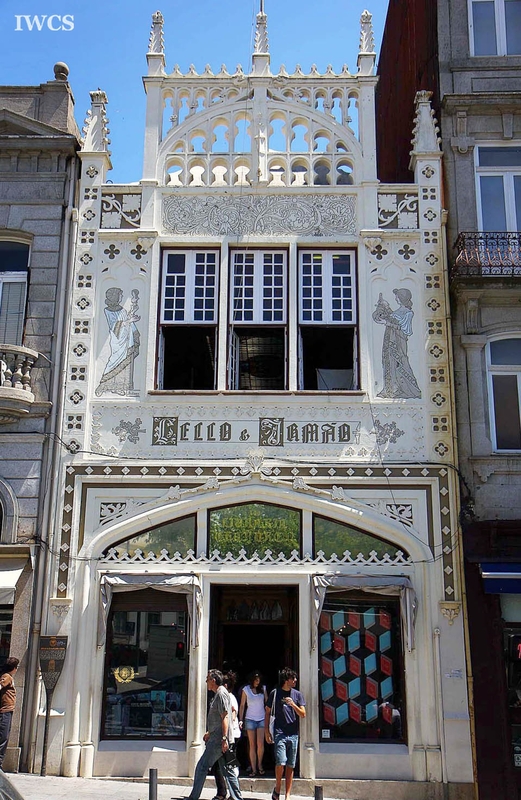 It was inaugurated on January 13, 1906, and designed by a noted engineer of the time, Xavier Esteves. 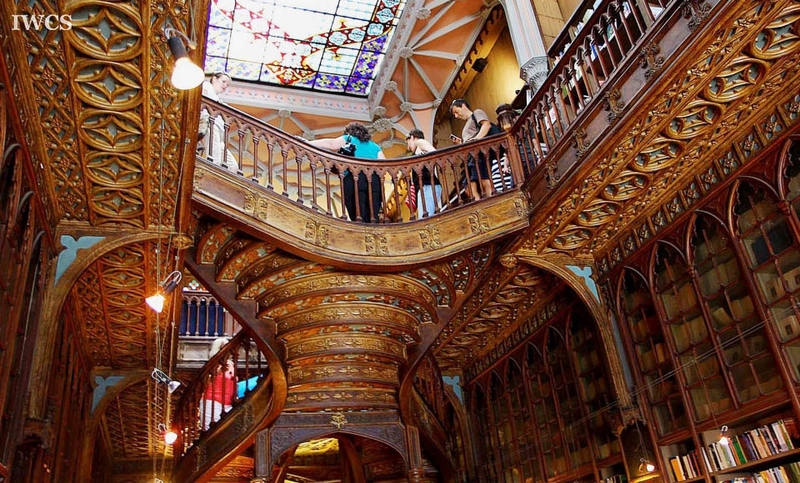 The Lello Bookshop is housed in a white architecture with art nouveaux facade; its distinguished outlook stands out from the rest of the other historical buildings on the street. 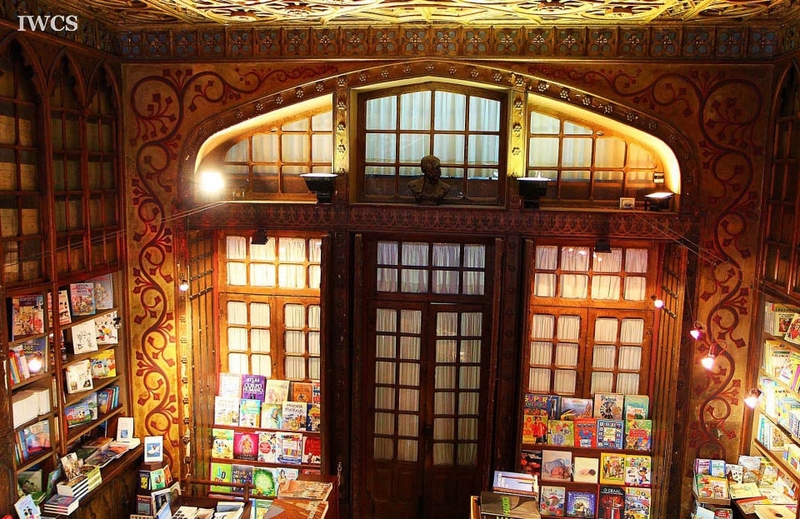 When stepping inside the bookshop, you will immediately feel a welcoming and cozy atmosphere, and be amazed by the full wall height bookshelves, and the high ceiling which created an expanded view. 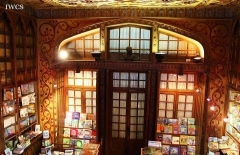 Other magnificent wooden interior decoration, such as carved wooden spiral staircase, fine carving of famous local writers on the column, and intricate woodcarving ceiling are just as impressive. 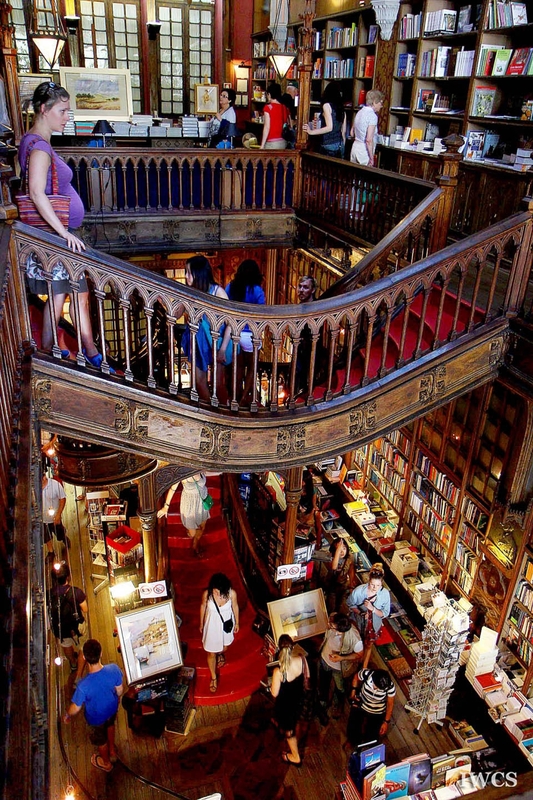 This beautiful bookshop is now one of the attractions in Porto. 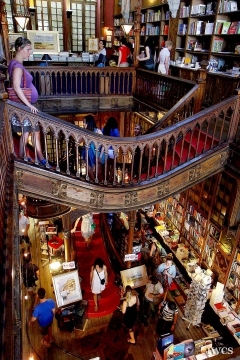 It has been selected as the third best bookshop in the world by the well-known travel guidebook, the Lonely Planet.